Gold (~1%) has been supported on the mixed oxides Al2O3–CuO–Mn2O3 with molar compositions 1:1:1, 1:0.7:0.3, 1:0.3:0.7, prepared by spray pyrolysis method. The supports and catalysts have been characterized by TG, DTA, N2 physisorption, XRD, SEM, and TEM methods and tested for CO oxidation (25–300 °C). The catalysts revealed high specific surface area and amorphous form for compositions 1:0.7:0.3 and 1:0.3:0.7. Gold deposited on the supports lowered the T 50 values by 50–80 °C. The highest CO conversion was obtained for 1:1:1 composition. 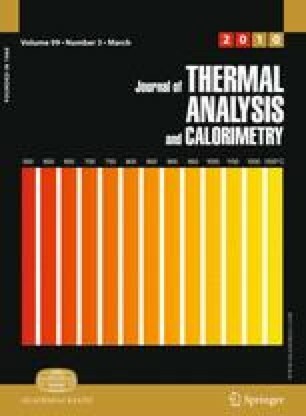 The authors thank Ms. Barbara Trybalska of the Faculty of Materials Science and Ceramics AGH UST, Kraków, Poland for performing the SEM measurements. This study has been performed with the financial support of the Polish Ministry of Science and Higher Education, under the grant No. 11.11.160.110.